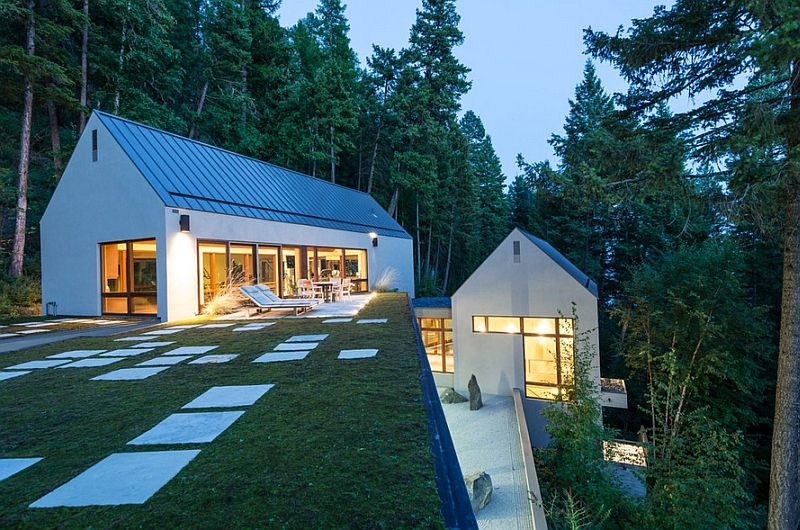 The idea of a green roof seems revolutionary to most of us. 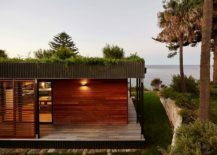 A covering of greenery on the roof is not something you come across often, and anytime we suggest a ‘living roof’, the idea is met with wariness and doubts rather than glee. 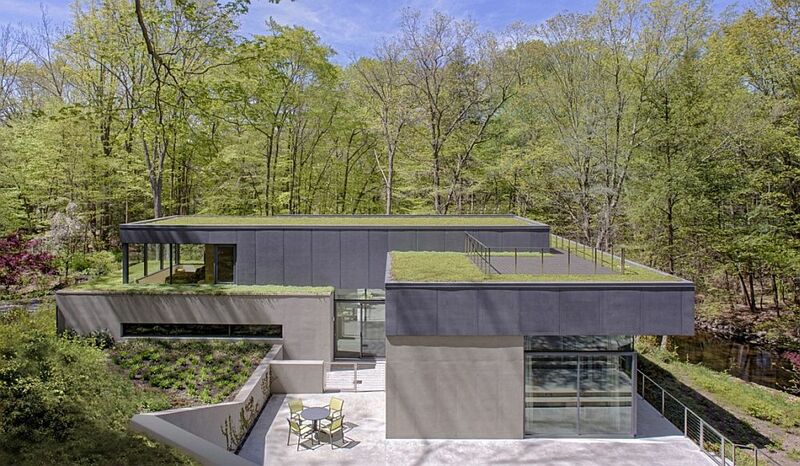 A green roof, though, is neither revolutionary nor is it anything incredibly complicated to work with. 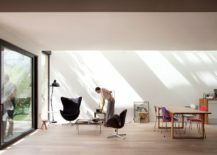 The idea has been around for more than half a century, and for some reason or the other, it has simply not caught on as much as it should have. 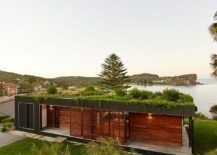 But the last decade has seen a surge in green, sustainable home design, and with it interest in green roof designs has peaked. 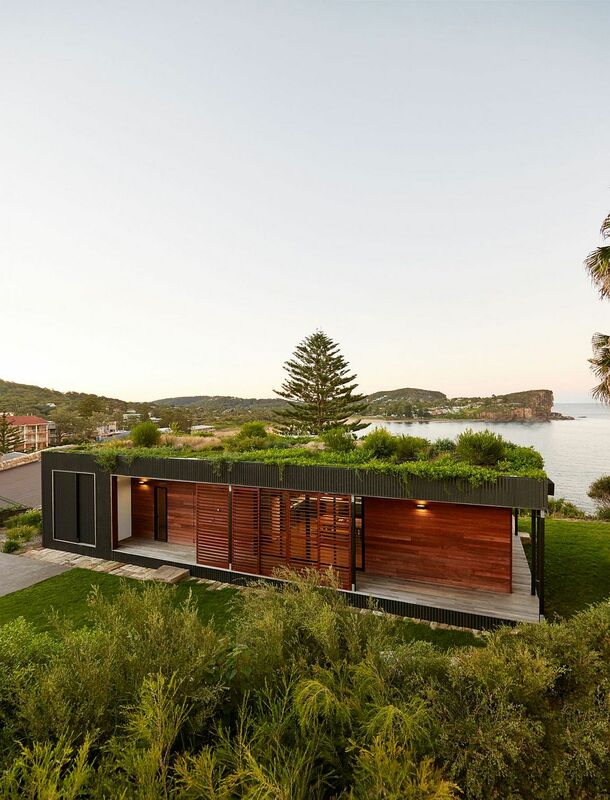 Currently considered a bit of an exotic affair, the green roof might soon become the norm as homeowners look for ways to cut down on power bills and carbon footprint. 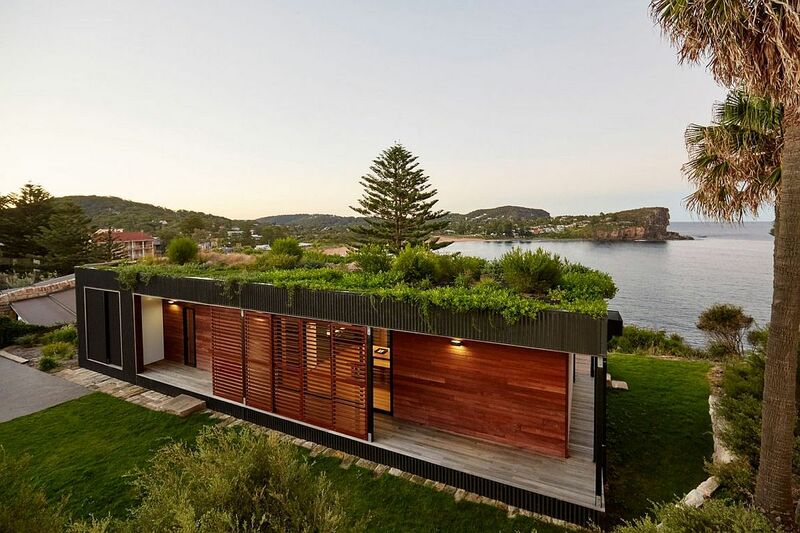 Whether you are worried about the planet or the power consumption of your home, a green roof comes in handy. 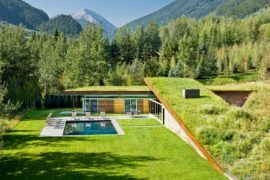 Today, we take a tour that showcases 10 fabulous homes that embrace the idea of a green roof in a stylish and stunning fashion. 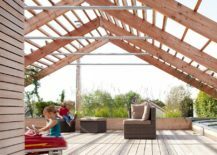 Green design is not always about cutting-edge technology that minimizes energy consumption and a multitude of gadgets that monitor your every move. 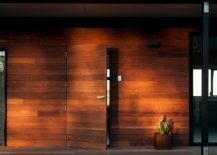 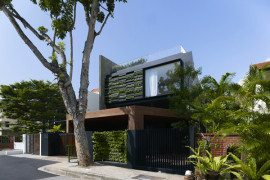 The best sustainable home designs are those that cause minimal damage to the landscape in which they sit. 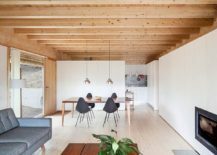 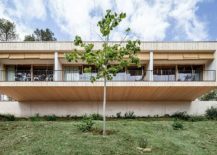 Nestled in the picturesque landscape of Serra de Collserola, Spain, Casa LLP by Alventosa Morell Arquitectes charms with a cantilevered structure and a green roof that lets it disappear into the surrounding scenery. 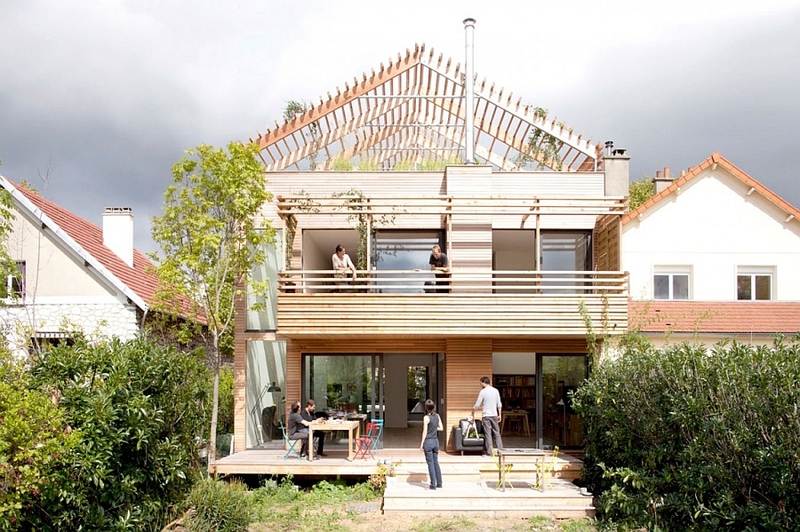 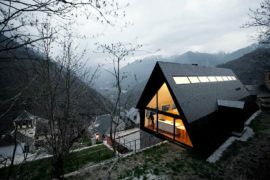 A bioclimatic house that does all it can to become one with nature! 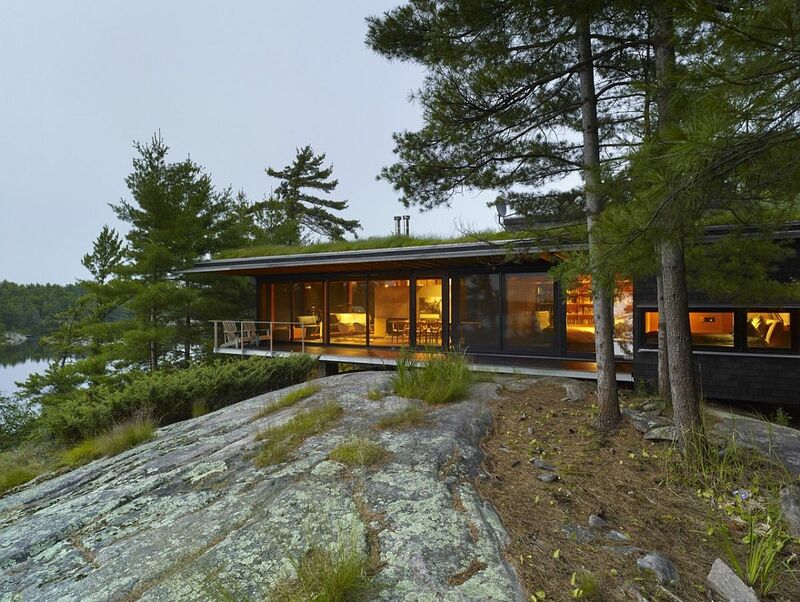 An island escape that can only be reached through waterways, a low-lying cabin that can barely be spotted from a distance, a green roof that keeps the temperature inside warm and toasty, and a design that pays tribute to local architecture – the Go Home Bay Cabin in Ontario has plenty going for it. 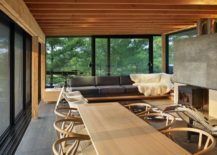 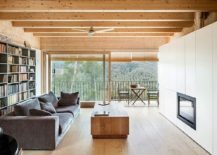 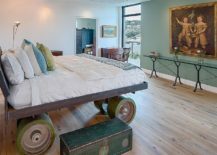 It is pretty much the ideal weekend retreat for the eco-conscious adventurer, and designed by Ian MacDonald Architect, its interior is as elegant as the idea behind its creation. 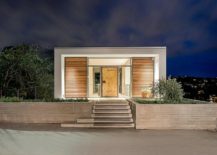 Avalon is our personal favorite on the list both for its sheer simplicity and the way that it makes green homes an affordable concept. 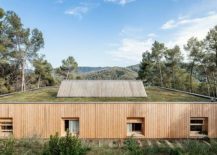 Timber from sustainable forests and metal sheets fashion its exterior, even as the green roof above stands out visually during the daytime. 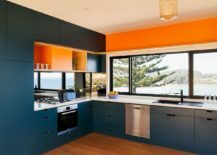 Nestled on lovely Avalon Beach and promising wonderful ocean views, this modular unit was crafted by ArchiBlox and provides a delightful living space of 106 square meters. 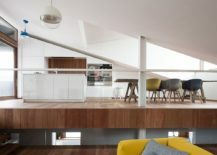 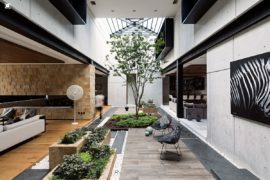 For most of us, it is the ground floor of our home that holds the entrance and the living area, with the top level holding the bedrooms and other private spaces. 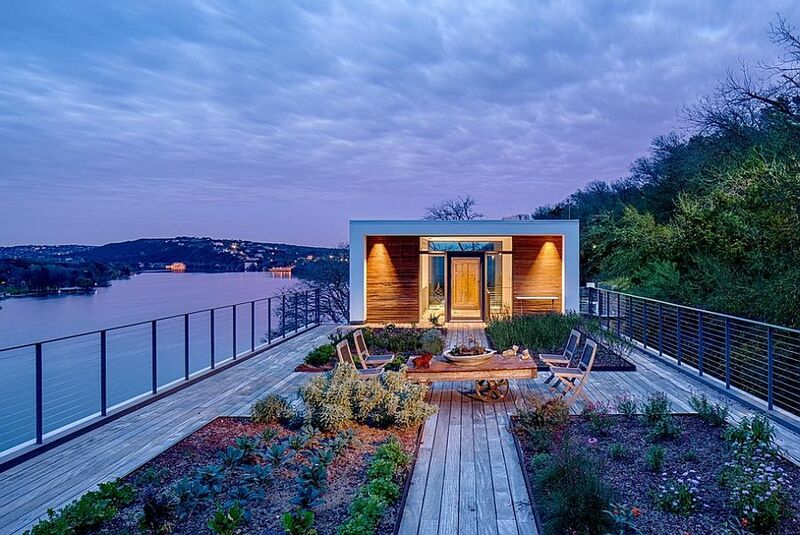 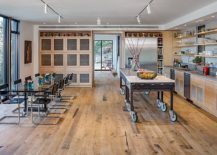 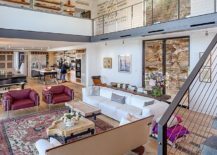 But the Cliff Dwelling nestled on a steep cliff next to Lake Austin flips this floor plan to suit the specific needs of the site, and it is the rooftop garden, retreat and entrance that steal the show here. 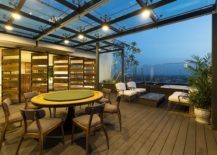 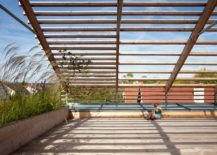 Masterfully designed by Specht Harpman Architects, the rooftop garden and hangout is a perfect idea for those looking for something more than just a simple green roof. 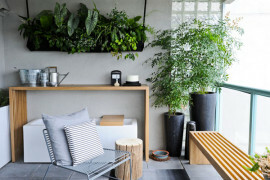 Both practical and planet-friendly, the idea creates an urban oasis even in a concrete jungle! 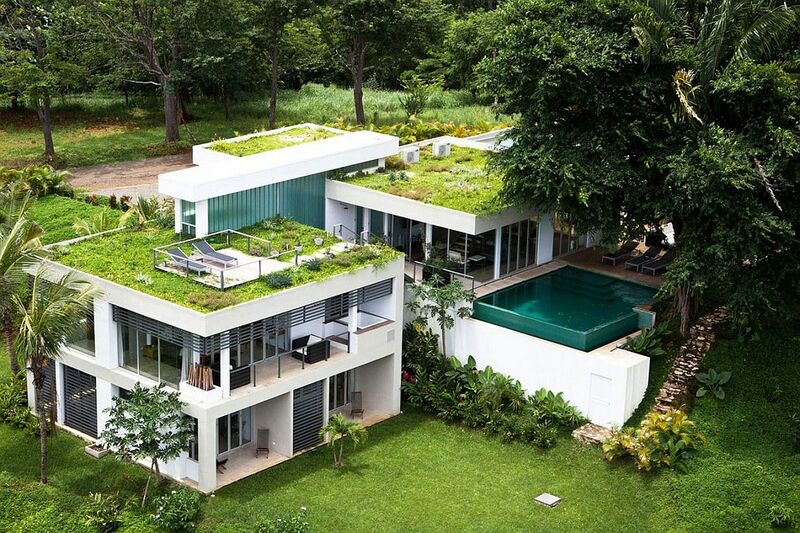 Taking the idea of a green rooftop garden a step further is the spectacular Penthouse Ecopark in Hung Yen Province, Vietnam. 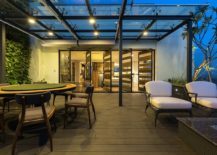 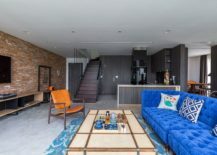 This modern home designed by iHouse combines a distinct industrial-style living area with a terrace garden that also holds a Jacuzzi, a glass pergola and an outdoor lounge. 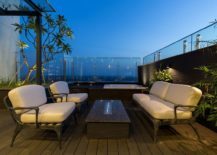 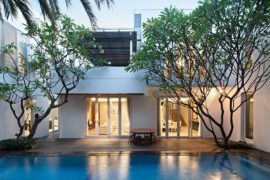 The terrace garden is visually connected with the master bedroom and allows the homeowners to escape the rigors of a long and hard day at work each evening. 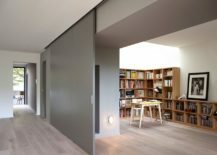 Paris surprises us often with apartments and homes that bring forth new and space-savvy design that sets the benchmark for houses across the planet. 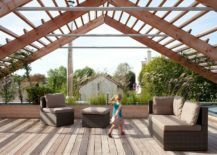 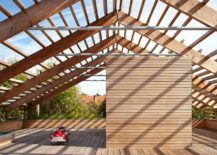 Eco-Sustainable House project by Djuric Tardio Architectes is one such work of genius that turns to a terrace garden, play area and hangout to combine the multiple needs of the homeowners. 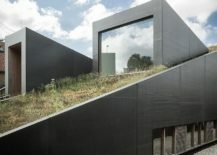 Built on a tight budget, the unique fruit and vegetable garden on the roof is much more than just eye candy! 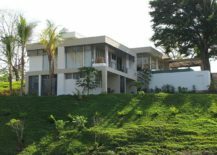 From the practical we move on to the exceptional as we step into the mesmerizing Black Beauty Tierra Villa in Ostional, Costa Rica. 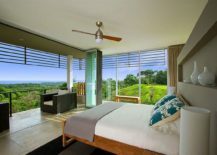 This captivating retreat is green in more ways than one, as even the amazing natural forests that surround it leave anyone who stays here spellbound. 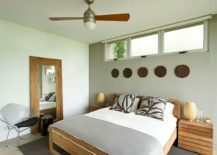 Developed by Kalia, this three-bedroom villa can be rented for around $600/night. 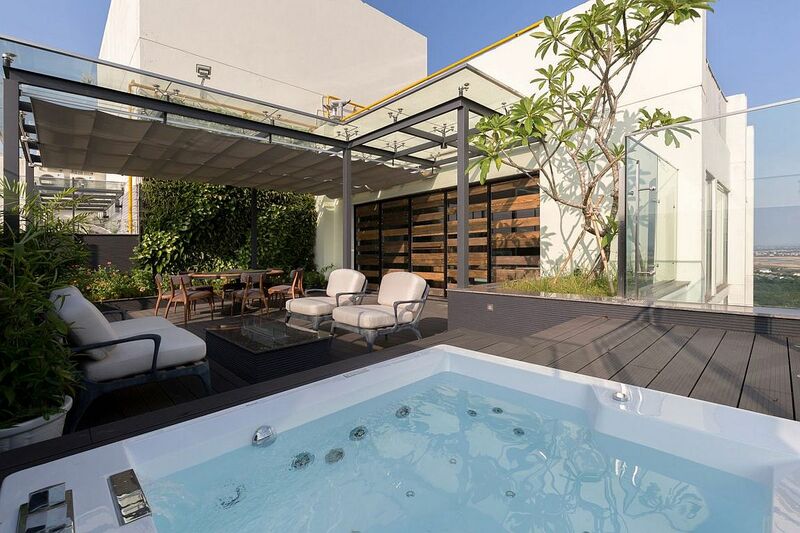 A bargain considering all you get at this exotic hideaway. 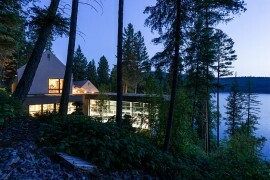 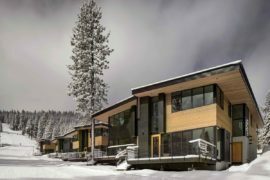 This might not be a full-fledged residence, but this Japanese-style pool house and spa on the banks of Whitefish Lake in Montana rivals any lakeside home both in style and eco-sensibility. 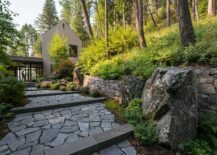 Designed by David Koel of CTA Architects Engineers, the dwelling includes a unique stone garden, relaxing outdoor hangout, refreshing indoor pool, an art gallery-style entry and a whole lot more here. 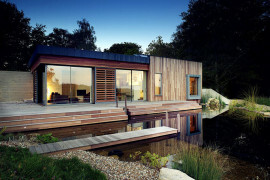 An eco-friendly retreat designed for those who love both nature and unfettered opulence! 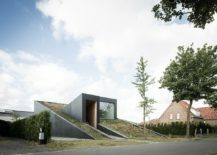 A touch different from every other home on our list, House Pibo in Maldegem is a partially underground structure with water-resistant walls and a garden that also morphs into its roof! 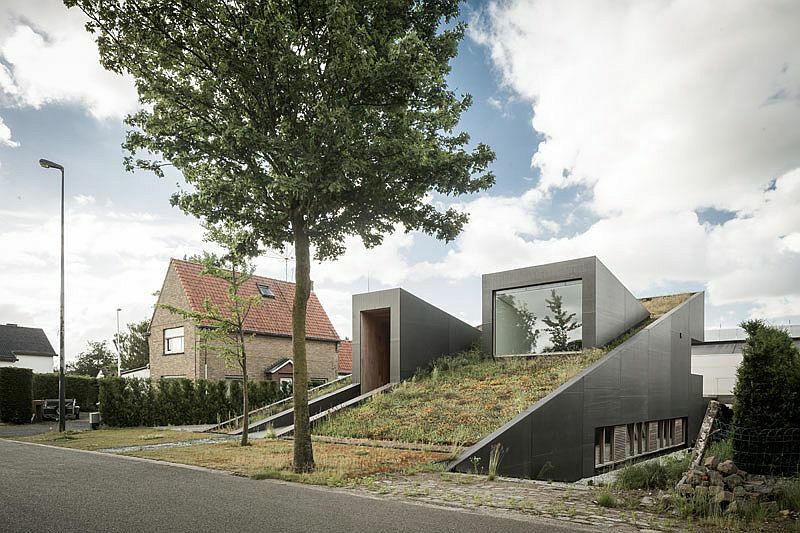 The sloped roof of the semi-buried home is covered in greenery, and over time the homeowner can easily turn this into a garden filled with beautiful, flowering plants. 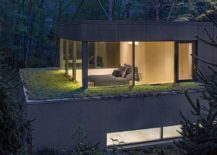 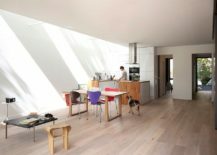 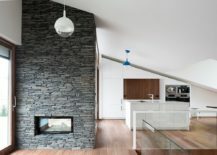 On the inside, a multi-level design that draws benefit from the smart insulation of the green roof ensures that life seems both bright and unique. 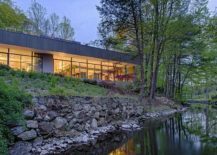 Combing modern aesthetics and a simple green roof in a fascinating fashion, the Riverside Weston Residence in Connecticut is all about a series of ‘roofscapes and terraced planes’. 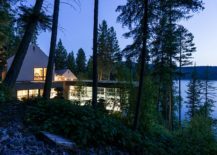 Add to this the unabated lake views on offer, contemporary interior with minimal décor and glass walls that bring the outdoors inside, and you have a home that connects you with nature at all times.